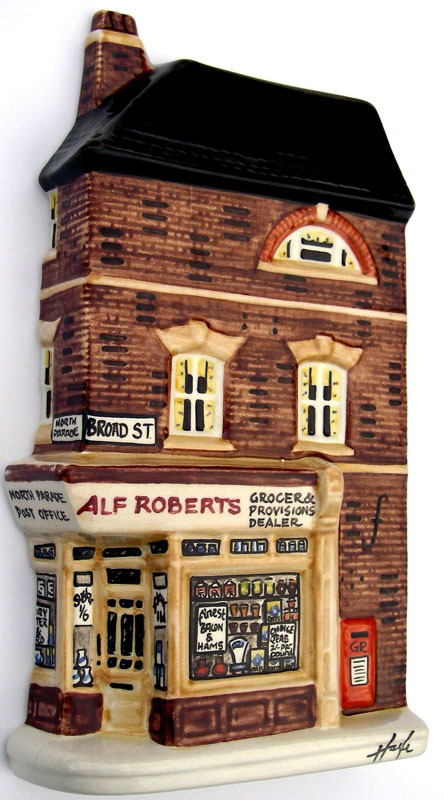 The main range, ‘A Nation of Shopkeepers’, collectable wall plaques, captures the nostalgia of the British High Street or Main Street. Napoleon called the English ‘A Nation of Shopkeepers’ and Hazle sees that as a compliment to the kind of liveliness and endeavour that can be found in the British High Street, with its hotchpotch of architectural styles and bustling activity. Her personal enthusiasm has led her to reflecting this in a treasury of traditional ceramics. The range has received the British Giftware Association Award for the ‘Best Collectible’ for its ‘originality and value’. The patented designs are noted for fine detailing in the modelling, and individual hand painting. 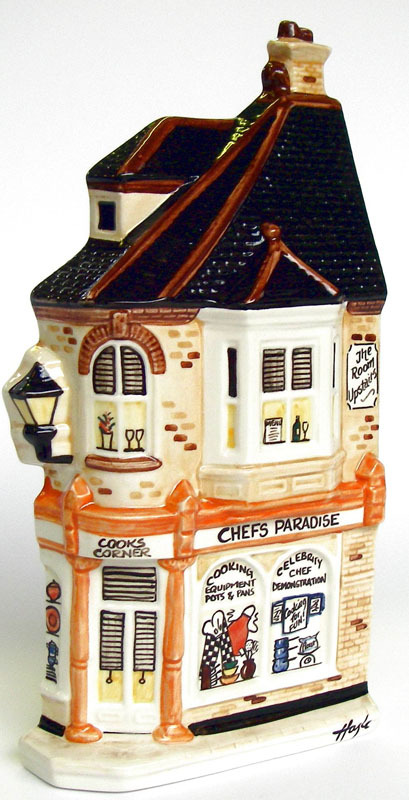 While architecturally correct and cast from Hazle’s original models and moulds, no two buildings are ever quite the same. There is a sense in which all our ceramics are ‘limited editions’. We do not manufacture on a huge scale, all designs are retired at some stage, and we also take pride in the variations in colour and style that come from the brushes of our different artists. However some of our ceramics are specifically in Numbered Limited Editions to a pre-determined quantity. When the last ceramic is seen safely through the kiln the Master mould is destroyed, so that no more can be produced. Since 1997 all numbered editions have had a signed Certificate of Authenticity. 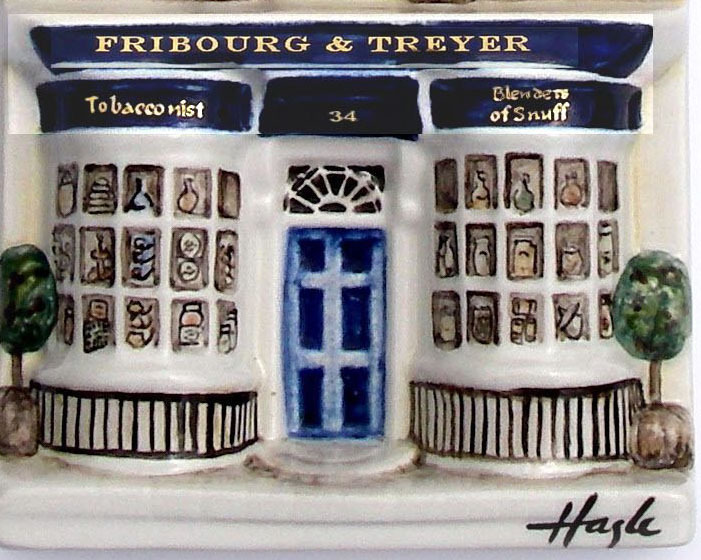 In addition to limited editions, from time to time we also take a ceramic from the range and paint it in a particular way for a specific numbered quantity. When the final number is painted that livery will never be produced again. An example is the Collect It! edition of 500, painted on our Corner Shop. Sometimes there are as few as 20 in a numbered limited painting. Collecting your personal street starts here… browse by category, or visit our shop for the full range.